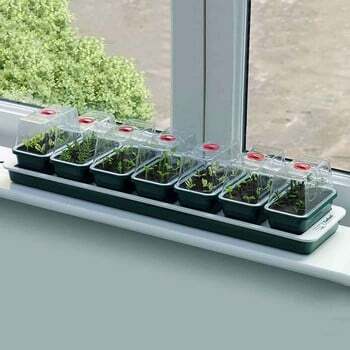 The Super 7 Mini Propagator is ideal to fit on a window-sill, measuring 76cm x 18cm, the electrically heated base uses only 15 Watts of power and it comes complete with seven 'quarter size' covered, vented seed trays. 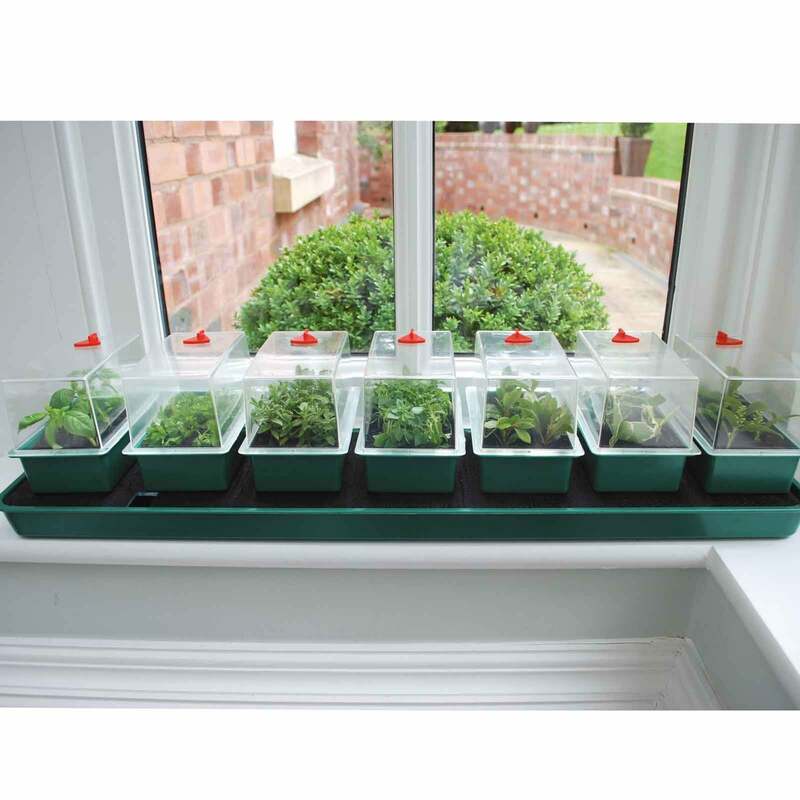 The Super 7 Mini Propagator is ideal to fit on a window-sill, measuring 76cm x 18cm, the electrically heated base uses only 15 Watts of power and it comes complete with seven 'quarter size' covered, vented seed trays. 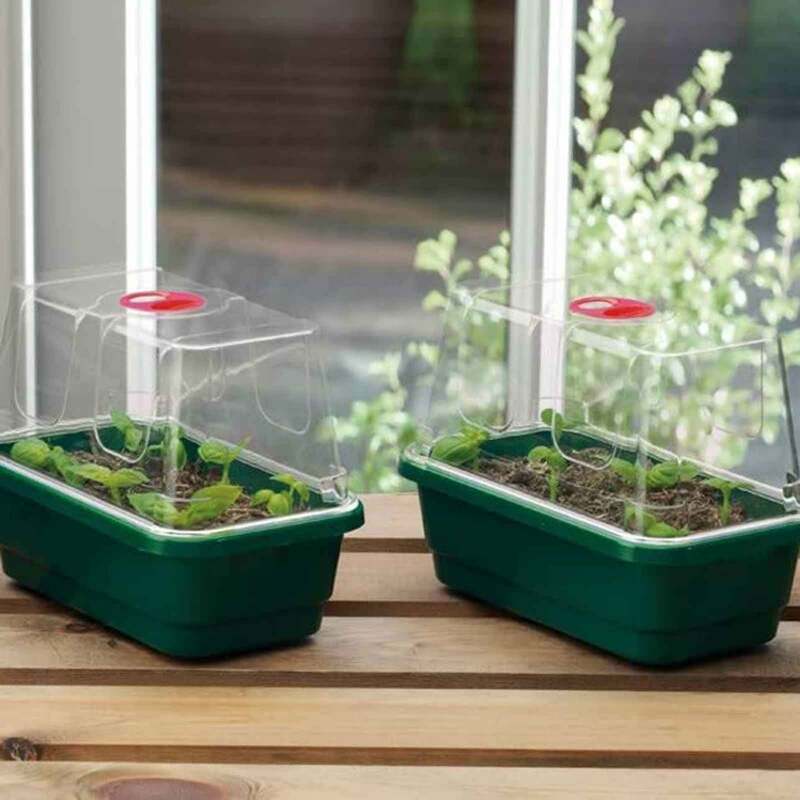 For anyone who loves growing seeds, a heated propagator is a vital piece of equipment. The individual seed trays and lids are available to buy separately and can be rotated on the propagator, making it easy to start off even more seeds. Very pleased to receive item. 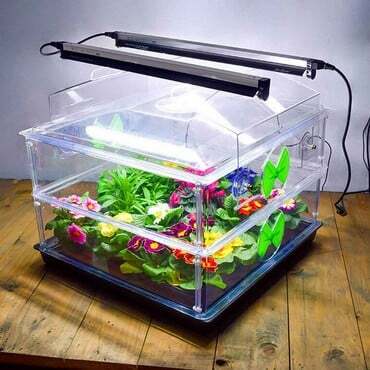 Exactly as photograph and description. 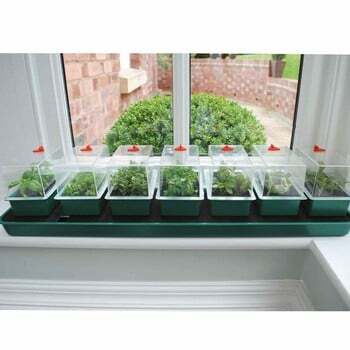 Very pleased with Harrod Horticultural. quick delievery-well made -easy to use -- wonderfull results-just a great bit of kit . 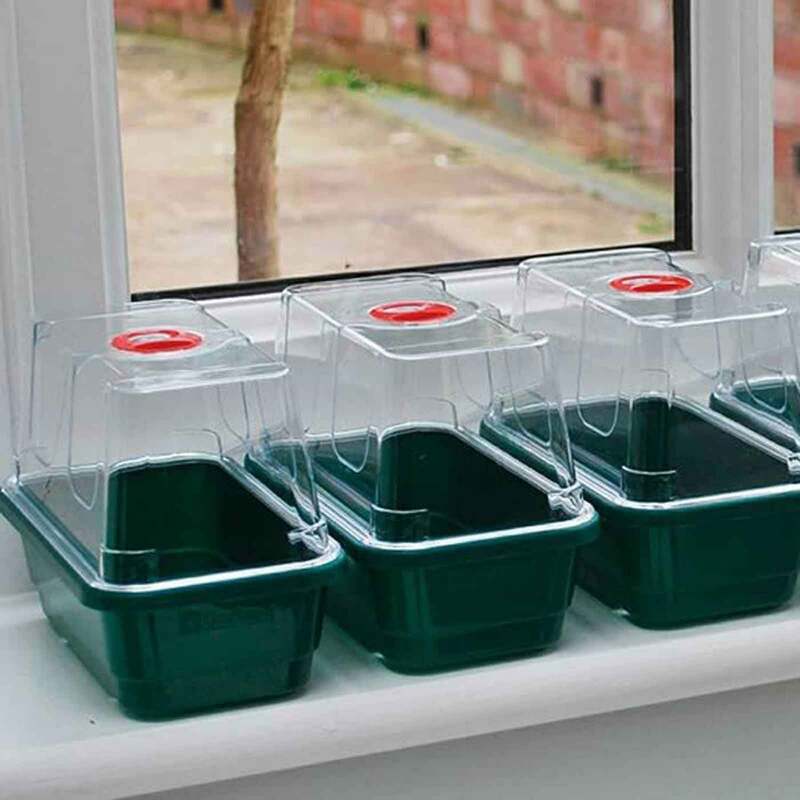 Designed to fit on a windowsill or other narrow spaces, this propagator is fantastic for those who don't have a huge amount of space to grow their seedlings in. 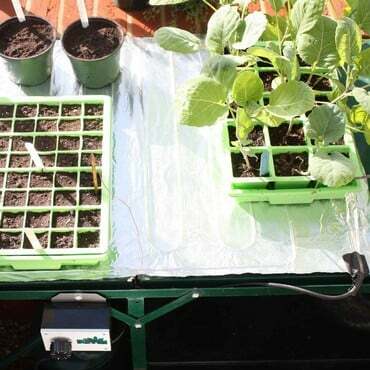 It has a heated base which helps to evenly distribute the warmth, creating optimum germination conditions. You will be able to start off various different plants with ease. Turn the narrowest space in the house into the ideal environment for sprouting seeds with the Super 7 Electric Windowsill Propagator.